This is a guest post from Michael Krakaris of Deliverr. Deliverr provides fast and affordable fulfillment for your eBay, Walmart and Shopify stores, helping to boost sales through programs like Walmart Free 2-Day. 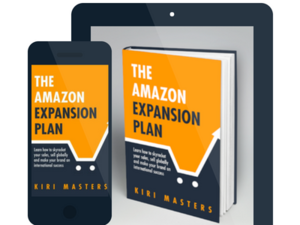 A growing eCommerce business is great news, but also means you have to scale up operations. That means expanding your warehousing, inventory management, product research, marketing, customer support, sales, and every other aspect of sales at the same time. Fulfillment is often the most complex and challenging aspect of an eCommerce business, because you have to build relationships with carriers, process orders, pick and pack, and ensure goods are correctly labeled and shipped to a customer in a reasonable time. And buyers are demanding fast, free fulfillment as the norm. As sales grow, many small eCommerce sellers begin to struggle with timely and efficient fulfillment. 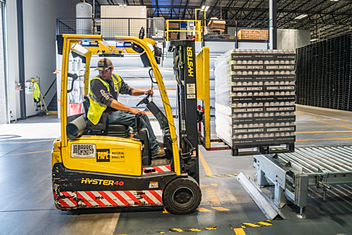 As costs go up and sales velocity fluctuates, it can be difficult to maintain an appropriate number of warehouse employees, and order volume can quickly exceed your capacity to keep up. Outsourced fulfillment solutions help to solve this issue by taking over fulfillment operations, often storing products in their own warehouses, using their own software and machinery, and hiring the employees to pick and pack. At the same time, not all fulfillment providers offer the same value. Some are geared towards smaller retailers and others are much better suited to enterprise operations. Defining what you want and need, as well as asking the right questions will help you make the best decision for your organization. eCommerce operations of all sizes can benefit from a good relationship with a fulfillment partner. Small sellers get access to the infrastructure they need, and large sellers get to outsource to a specialist. Overall, the reduced cost of shipping, access to fast shipping tags, and increase in efficiency will help you across all your channels, boosting account health metrics, improving customer satisfaction, and allowing you to increase sales velocity. You want to improve your delivery times. A good provider can help you to boost account metrics and meet strict shipping requirements. If your products aren’t getting to your customers on time (or at all), outsourcing fulfillment should be able to guarantee high delivery rates (and more happy customers). 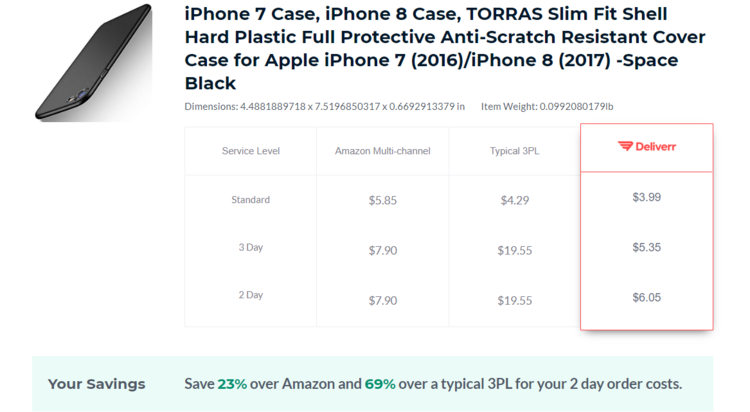 You want to raise conversions by leveraging fast shipping tags. This is the key benefit to outsourcing fulfillment. Whereas Amazon Prime is most conveniently accessed using FBA, there are Prime-like shipping programs across multiple marketplaces today. Those fast shipping tags help you to stand out in search results and raise conversions (and sales). You want to avoid Amazon’s long-term storage rates. Amazon's storage fees can skyrocket over the long-term. They don’t like having stock that stands still taking up space. Shifting excess inventory to other warehouses will allow you to maintain rapid delivery standards without paying hefty storage fees. You want to diversify beyond Amazon. Most fulfillment partners can help you quickly and seamlessly integrate across multiple marketplaces (Amazon, eBay, Jet, Walmart, Shopify). For example, a good 3PL will offer real-time inventory management synchronized across all your channels (with updated tracking information), so that when products sell on your own website, they update across eBay, Jet, Walmart, or whichever other marketplaces you’re using. This saves you headaches by reducing backorders and improving customer satisfaction, while preventing the need to split inventory. You want to focus on growth. When you outsource your fulfillment logistics, you free up your internal team to focus on growth. Instead of working in the business, you’ll be able to focus on the business. This is vital for improving and perfecting your product development, branding, and sales. There are hundreds of fulfillment options in every niche and market. Choosing one can be intimidating, and may be expensive if you make the wrong choice. Taking the time to ask the right questions upfront will help you make the best choice before signing a contract. The area where most typical 3PLs cause problems is cost. Many solutions aren’t transparent with their pricing, and sellers often don’t know how much they’re spending for fulfillment until the bill arrives. This can cut into profits, and cause major headaches down the road. Want to calculate your fulfillment costs? Visit our cost calculator. Fast shipping tags are key to conversions. They help you stand out from the intense competition, we’ve seen that buyers are willing to pay for speed, marketplaces are shifting focus from price to experience (in which fulfillment plays a large role), and they will help you get the buy box. Make sure your fulfillment partner can help you get those fast shipping tags on your listings. From marketplaces to tools, it’s important that your partner works with the software and channels you want to use. If you’re planning to expand to new channels in the near future, you should make sure those are supported as well. Finally, use case specific questions based on your needs. If you sell batteries, ask if they support those with their fast shipping programs (batteries are not allowed onboard air freight). If your fulfillment partner isn’t able to scale as quickly as you plan to, you won’t be able to stay with them long. Many solutions use shared-space warehousing, working with multiple customers in a single space. This allows most to scale up easily to meet your growing demands, but not every solution will have that option. Choose a logistics partner who can ship goods quickly and efficiently. A fulfillment company with warehouses around the country or in geographical locations where you make a lot of sales will save you money in the long-run. Tip: Warehouse location no longer plays a key role in taxation, since the Supreme Court ruled eCommerce sellers are subject to sales tax no matter what state they fulfill from. Many fulfillment companies will also move goods to their warehouse closest to a destination before handing it over to a carrier, which can help reduce shipping costs and increase delivery speed. Some also specialize in specific locations (such as the West Coast). Fulfillment companies can offer everything from basic freight services, where they pick goods up at your warehouse, to a full-service solution including import and freight inspection or FBA prep. While it is likely you will pay for each of these services, they may be extremely valuable for your company. We never want to think it’ll happen, but things do go wrong; Boxes are dropped, items break, and things get lost. If this happens, make sure you know exactly how your fulfillment partner will handle it. Ask your sales or customer support contact, and get confirmation in writing either via email or have them send their exact policy to you. Sometimes their policies are published online in their support forums, so you can check there and save the page for your records. Many typical 3PLs take weeks to get up and running, and those are weeks you could be making money instead. Look for a solution with a simple signup process and easy onboarding that can hit the ground running, so you can get started quickly. The best option to choosing a quality partner for your eCommerce fulfillment is to begin with your own needs. If you can define what you need in terms of warehouse locations, services, software, integrations, data management, audit standards, etc., you can make a better choice when you start looking. A good fulfillment partner can offer a lot of value, especially if you’re in the process of scaling and don’t have or want to spend the resources on creating warehousing, infrastructure, and inventory management on your own. Your ideal solution will give you the freedom to scale, provide access to fast shipping tags, keep fulfillment affordable, and delight your customers with fast delivery. This is a guest post from Michael Krakaris of Deliverr. Deliverrprovides fast and affordable fulfillment for your eBay, Walmart and Shopify stores, helping to boost sales through programs like Walmart Free 2-Day Shipping and eBay Guaranteed Delivery.